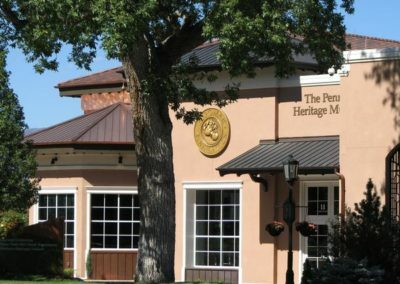 El Pomar Foundation is a philanthropic organization based in Colorado Springs, Colorado. 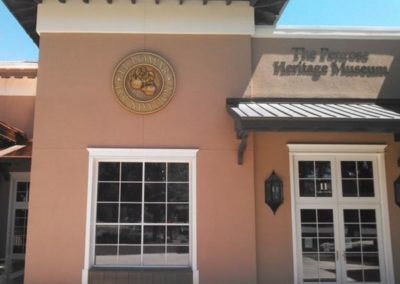 Founded in 1937, the foundation’s mission is to provide grants to nonprofit groups in their state and better the lives and culture of its residents. 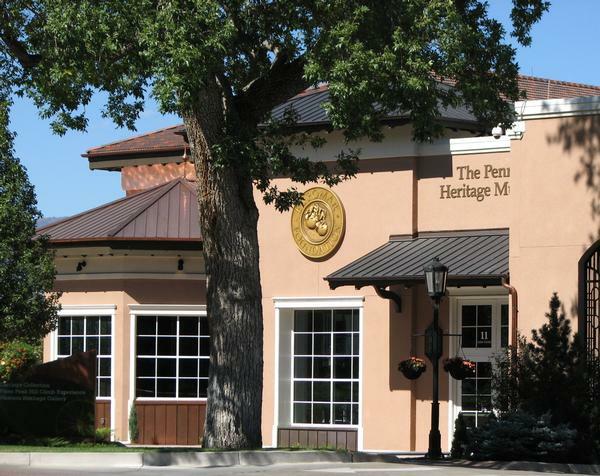 In addition to their generosity, El Pomar maintains several legacy properties, including the Penrose Heritage Museum. 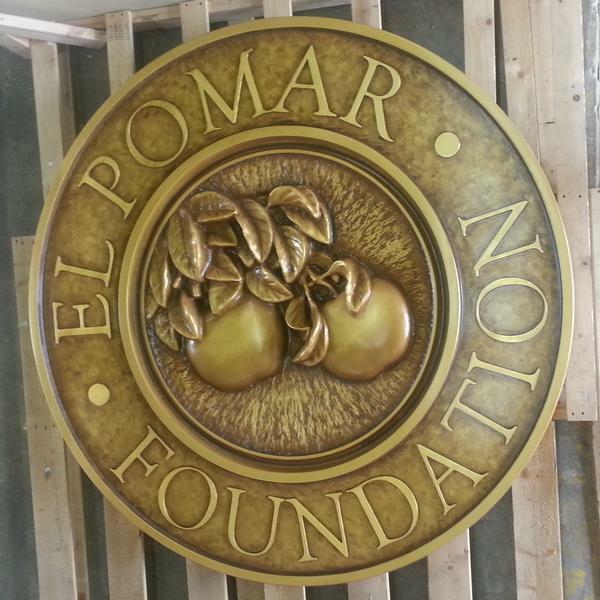 The museum’s newest addition required a representation of El Pomar Foundation’s logo for the side of the building. 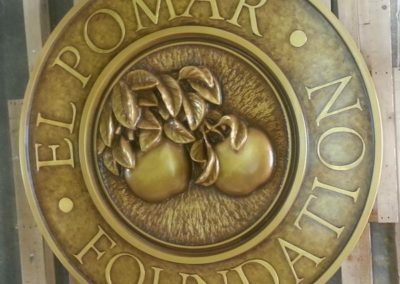 The logo, featuring two apples amid foliage, reflects the English translation of “El Pomar” – the orchard. Conrad Schmitt Studios contracted a local Wisconsin artist, Dan Ingebrigston, to sculpt the interior of the medallion that contains the image of the fruit and leaves. 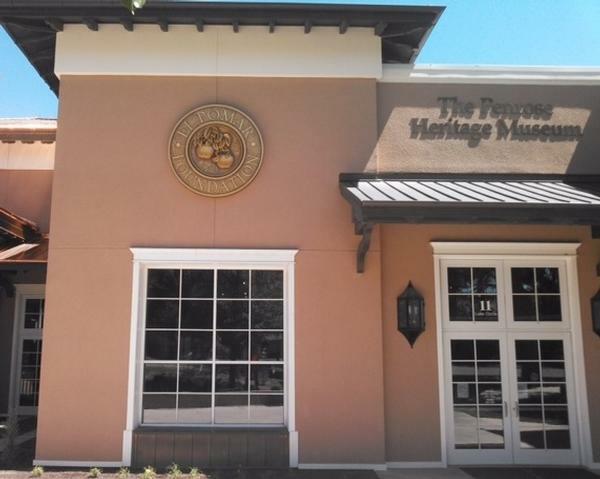 Ingebrigston carved a shallow, convex bas relief from clay that was mounted on plywood. Midwest Composite Technologies, Inc. was contracted to produce a wooden prototype of the outer ring of the medallion. Ingebrigston’s clay sculpture was fit into the ring, and the entire casting model was molded in fiberglass. Craftsmen finished the piece with an antiqued bronze finish. The final piece was 6′ in diameter and approximately 6″ thick at the center of bas relief.